Available in thicknesses ranging from 6 mil to 12 mil, non-reinforced and reinforced, in rolls, and in fabricated shapes, fire retardant and non-fire retardant versions. Heat Shrink Wrap has become wildly popular over the past several years because it securely covers items and fits like a glove! Once the film has been shrunk, it has amazing strength, and all becomes like one solid piece of plastic, creating airtight enclosures to keep the environment in our out, depending on the application. 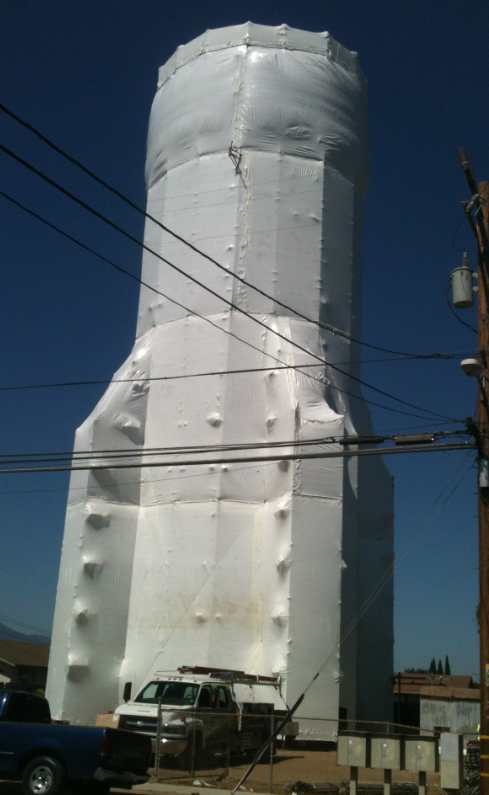 Click here for more information on Heat Shrink Wrap and getting samples. 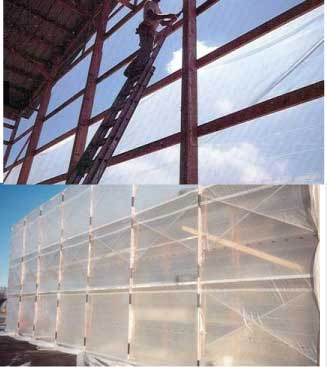 Dura-Skrim 2 is a 6 mil clear scrim reinforced building enclosure film made from quality materials resulting in durable, reinforced poly sheeting that outperforms the competition. We laminate together high strength/ heavy duty string reinforced layer with a layer of molten polyethylene to produce this dependable enclosure film. String/scrim reinforcement means any tears that should occur will be stopped. The heavy duty film also resists tears and punctures. It doesn't get any better for the money! 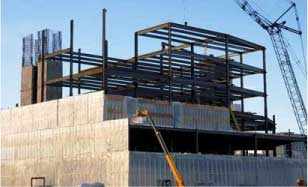 Dura-Skrim 2 FR is 6 mil a high performance enclosure film like Dura-Skrim 2, and it contains a fire retardant additive. Dura-Skrim 2 FR is natural in color. 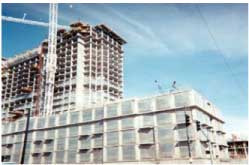 Dura-Skrim 10 FR is a 10 mil translucent film that offers strength from the string reinforcement and is flame retardant. It meets or exceeds MFPA's 701 test, method 2 (large scale requirment). 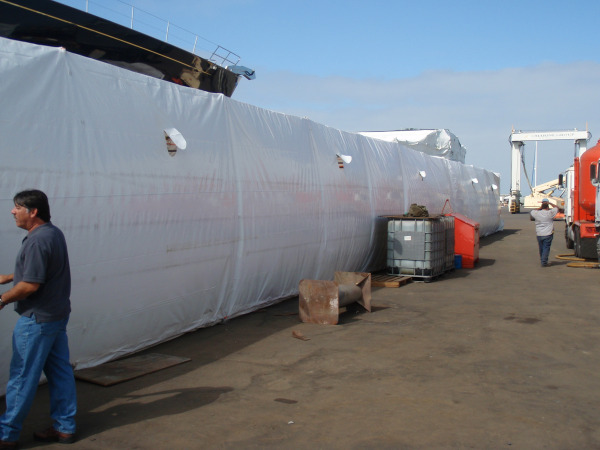 Dura- Skrim 10 HUV is a clear 10 mil enclosure film that contains high concentrations of UV inhibitors as well as thermal stabilizers to fortify if for added outdoor use for up to approximately one year.